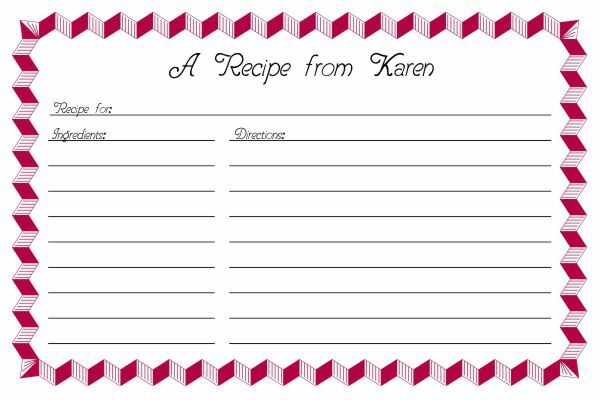 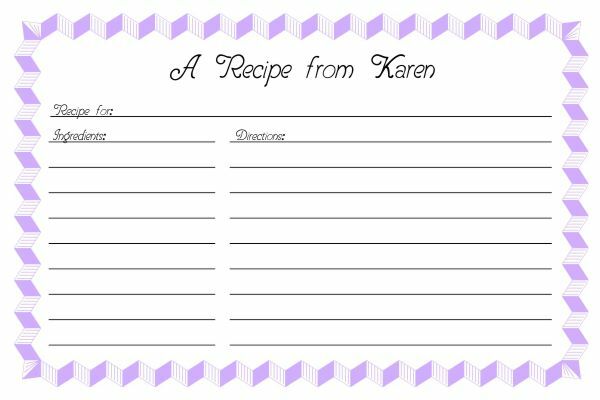 Recipe card templates are available in Word, Publisher, Corel Draw and InDesign formats in several colors and styles. 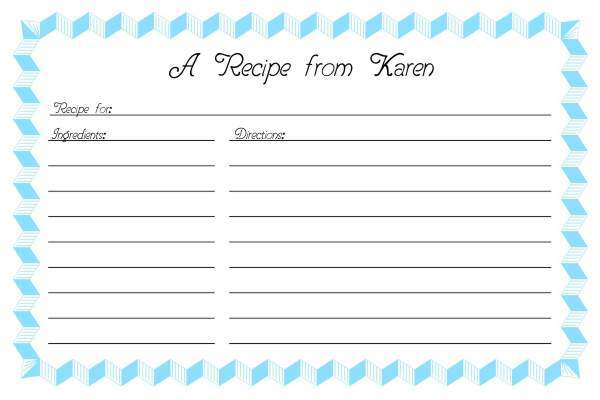 The template can be printed one or two up on letter size paper or printed on pre-perfed postcard stock. Five colors to choose from. Finished size is 4" x 6" and can be printed 3 up on 6" x 12.5" pre-perforated postcard stock.